Ensure that your USB is FAT32 formatted and has a capacity of at least 2GB. Download the Markforged System Reset Image file. Insert a USB thumb drive into your computer. NOTE: Any data on the USB Key will be deleted during this process. 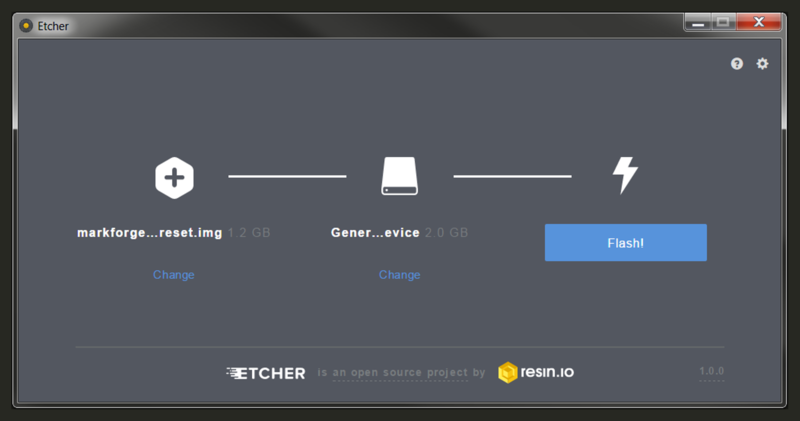 Download and install Etcher. 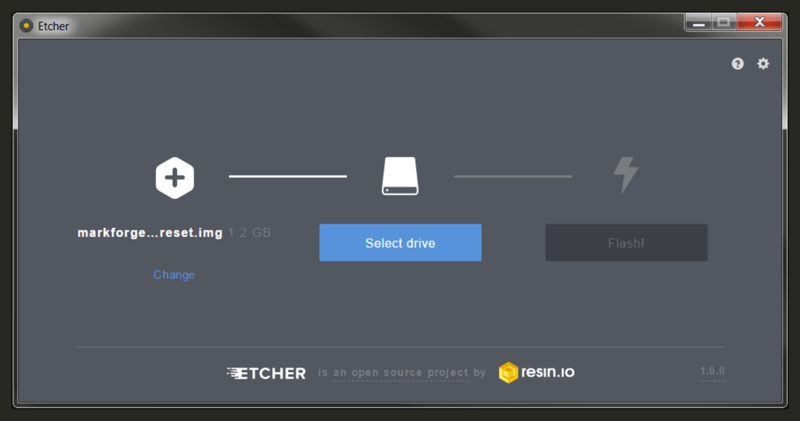 Etcher is a program that will allow you to turn a regular USB thumb drive into a reset key. Etcher is compatible with Windows, OSX, and Linux. Open Etcher and press the "Select Image" button in the window. Browse to the location of the System Reset Image file and select it. Select the flash drive that you would like to use as a reset key, if the software did not automatically find it. 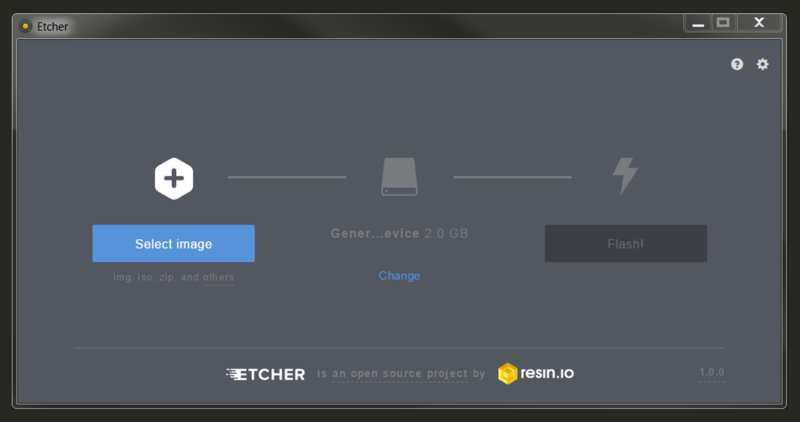 Wait for Etcher to create the reset key. 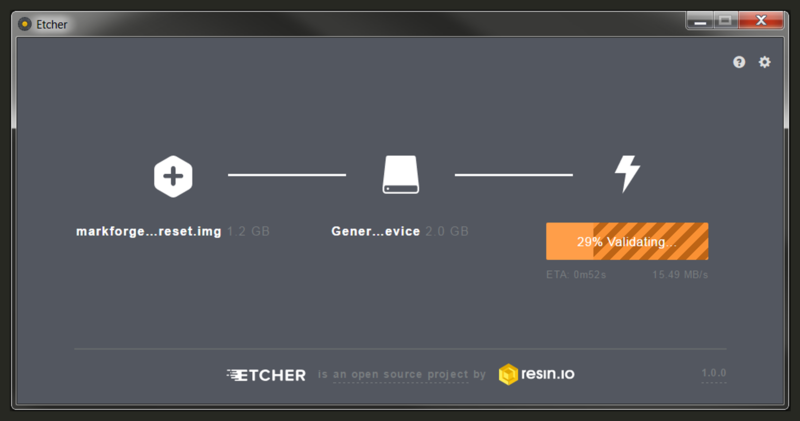 Wait for Etcher to scan and validate the image file. 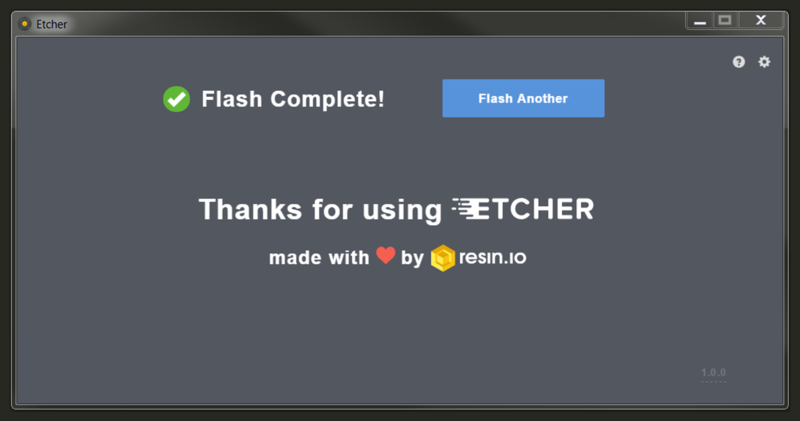 Wait for Etcher to show the "Flash Complete" text and then remove the formatted reset key. Plug the System Reset Key drive into the USB connector on the printer. 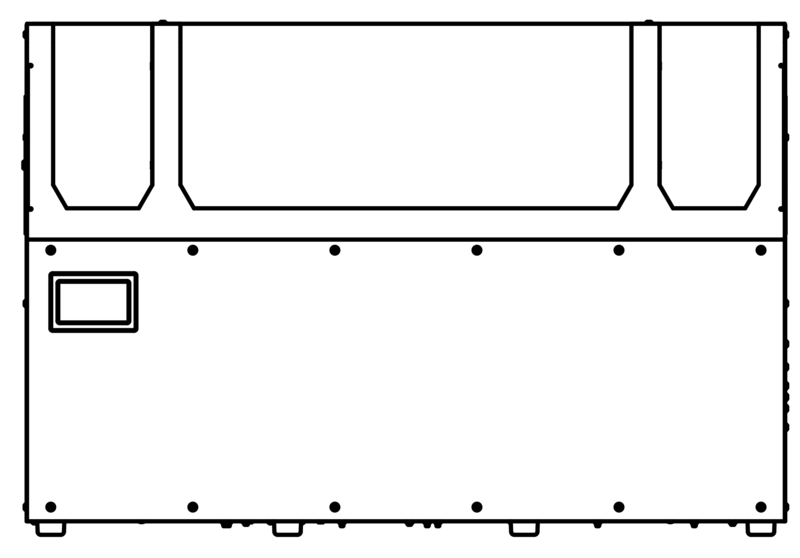 NOTE: For Desktop Series printers, the USB connector is located on the back, next to the Wifi Antenna. 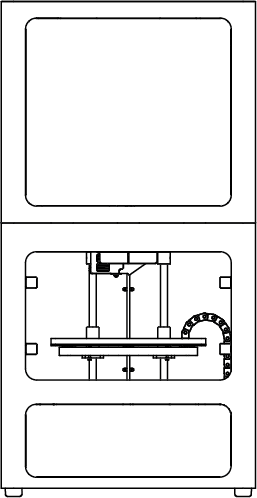 For Industrial Series and Metal X printers, the USB connector is located on the right-hand facing side. Note: The printer’s display will remain dark for the first 30 seconds. 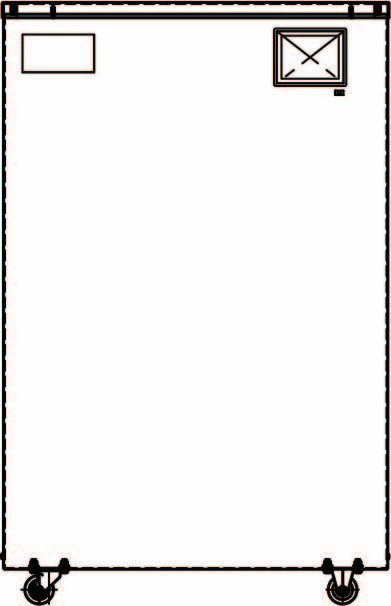 After that, commands will appear and scroll down the screen, pausing for periods of time. Turn the printer off when the text "System halted" appears at the bottom of the printer display. Remove the System Reset Key. Wait several seconds and turn the printer back on. Note: This reboot will take longer than subsequent ones. You should be returned to normal default home screen when the boot finishes. Once your printer’s software has been restored to its factory default state, it is important that you update the software to the latest version available.